Time to wrap up two of my open giveaways. Erica February 5, 2013 at 10:25 AMI love this palette and the quilt pattern is great! I am most looking forward to a Disneyland holiday with my husband and our son & his wife at the end of the month - woot! Hope you had a great time at the Happiest Place on Earth, Erica! charlotte February 11, 2013 at 7:19 PMI would love a copy of that book. I think maybe I would use the Lizzy House Pearl Bracelets in all those amazing colors. Can't wait to see your Pearl Bracelets version, Charlotte! Erica and Charlotte, please contact me with your mailing address and I'll be sure your prizes are sent out ASAP. Remember, my Art Gallery Fabrics Indian Summer giveaway is still open. Head over to the post and comment to enter! OK, OK ... so I keep saying that I'll be posting more and then I disappear again. Sorry for that. Still trying to figure out how to fit blogging back in to my schedule. The good news is that a lot of the time I used to spend sewing and blogging has been spent instead focusing on my health! I completed a 10-mile run this past weekend, which was fantastic. 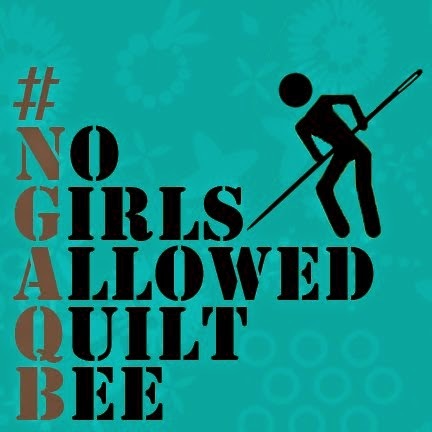 I was also able to work on my last project for the Art Gallery Fabrics Fat Quarter Gang. 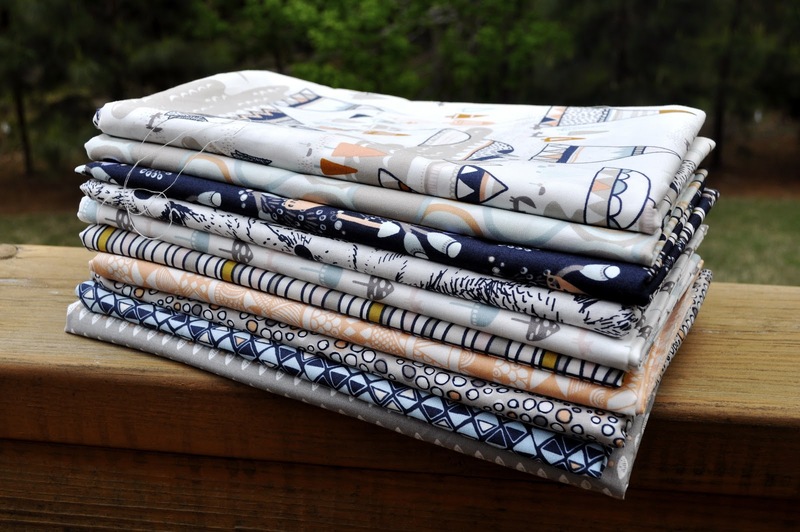 I was lucky enough to get to work with the new Indian Summer line by Sarah Watson for Art Gallery Fabrics, and I fell in love with it. I decided to make a mini quilt to show off some of the adorable prints and also to share my no-handwork, no-hassle hexagon technique. You can find the project on the Art Gallery Fabrics blog today. And to celebrate the release of the project, Art Gallery Fabrics will send one lucky reader their very own bundle of Indian Summer fabrics! Simply leave a comment on this post letting me know if you've ever sewn a project with hexagons, and what your experience was like. 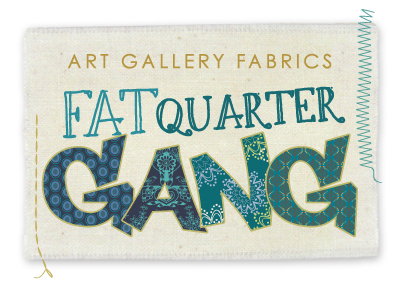 As with all AGF Fat Quarter Gang giveaways, you must follow Art Gallery Fabrics on your favorite social media platform (Pinterest, Facebook, or Twitter). 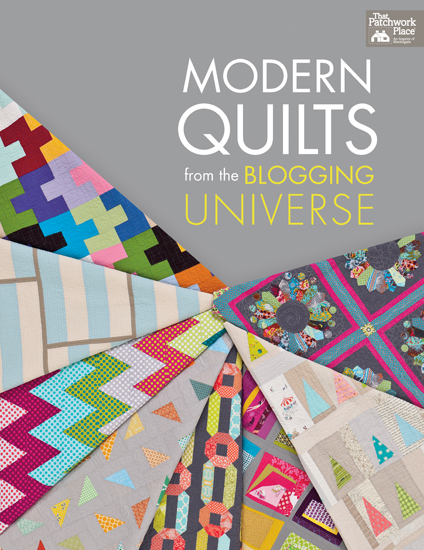 Subscribe to the AGF blog to stay up to date on all things AGF & the Fat Quarter Gang! If you make an Indian Summer mini quilt, I'd love to see it. 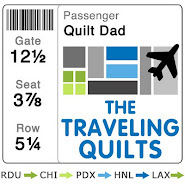 Be sure to add it both to the Quilt Dad is my Homeboy and Art Gallery Fabrics Flickr groups. Winners of the last two giveaways will be posted later today!